Welcome to Featured Friday! And welcome to all the new readers (my traffic has gone crazy this week, thanks to a few articles). I had an awesome post for yesterday, but my camera ate the picture. So keep an eye out this week for chili-cornbread muffins, F&B loved them and they used out the leftovers, score! Since we've been home all week, I've found so many posts I love, and trying to narrow it down to just a few has been hard, but I'll give it my best try. fish shapes, without the fish! 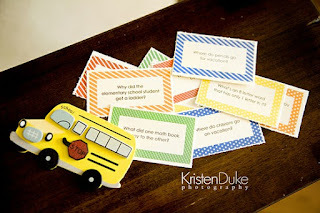 head over to Kristen Duke Photography to print your own! 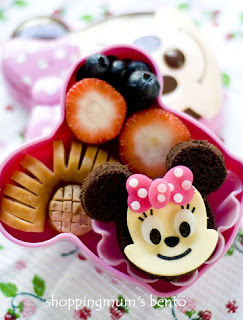 This Minnie Mouse bento from Mothering Corner is amazing!!! I must make this, I do love all things pumpkin! As well, we got the chance to review the new Veggie Tales movie "The Princess and the Pop Star" and get to give away a copy too. 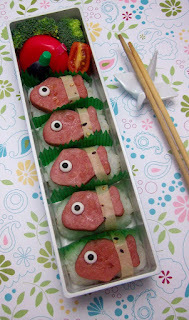 Since it's not really food-related, I have it on my personal blog, in case you'd like to leave a comment and enter! I always look forward to your Friday features :D Gives me lots of new sites to read!